After a few weeks of playing the most recent incarnation of Nintendo’s Mario Kart franchise, I can officially say that this game rules. It is exactly the game that Nintendo needed to release to boost sales of their newest console, the Wii U. Let’s get into my full Mario Kart 8 review, including some great new additions and a few things that are lacking from previous installments. First things first, this game is beautiful. The HD graphics of the Wii U really make this game soar. 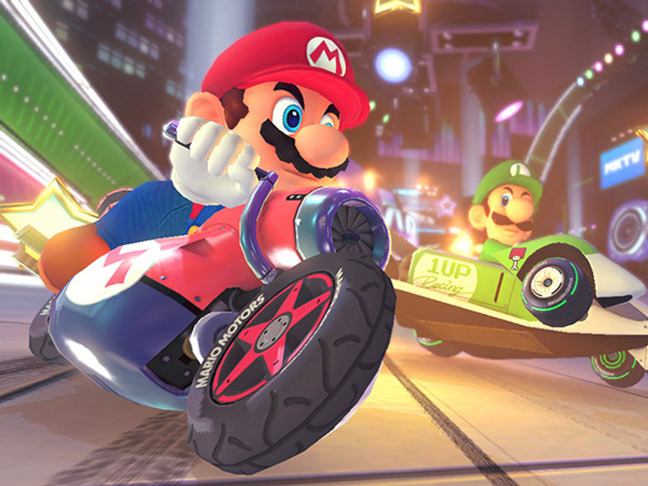 Never before have exploding turtle shells and kart-driving plumbers looked so realistic. With the added bonus of customizable and shareable highlight videos that feature some excellent slow motion video, this is the most social and visually pleasing Mario Kart yet. 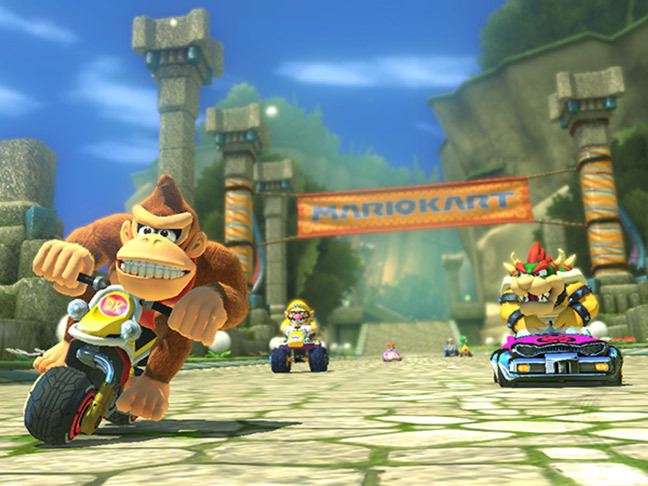 As always, Mario Kart features a mix of new racetracks and tracks from earlier versions of the game. In this instance, though, even the old tracks feel completely new and different with the addition of anti-gravity sections. You spend plenty of time completely upside down and sideways, which takes a little bit of getting used to. One of the biggest drawbacks of the game is the lack of an onscreen map, which is somewhat understandable since the tracks loop over and under themselves so often. There is a map on the second screen of the game controller, but it is pretty hard to focus on two screens at once in such a fast paced game. 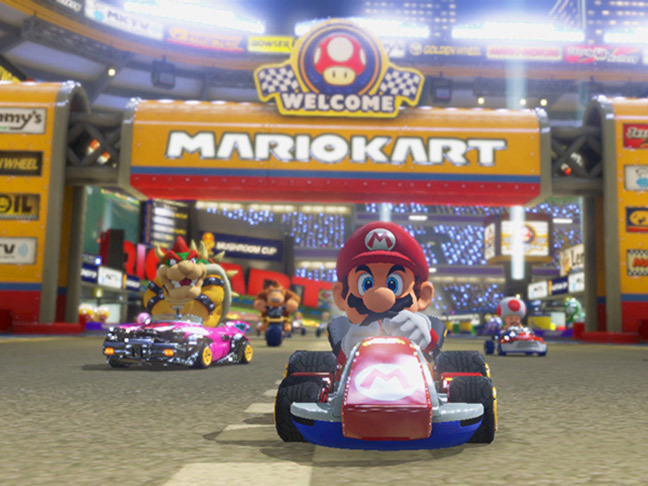 This game also features a new set of characters and karts to customize. There are 16 default characters that come with the game and 14 additional characters you can unlock by collecting coins within the game. While it is nice to see all of Bowser’s kids represented, I do miss Diddy Kong. You can also unlock a multitude of karts and vehicle customizations like wheels and gliders. So far, I have unlocked everything but the elusive Gold Standard Kart, which will take many hours of play to acquire. Overall, this game is a great summer pastime and is a lot of fun for kids and adults alike. Whether your kiddo is already a professional drifter or this is their first experience with Mario Kart, it is a great way to spend some time together as a family. While the game can be extremely frustrating, there is nothing more thrilling than narrowly avoiding a shell to win a Grand Prix.